In addition to the sailing programme West Oxfordshire Sailing Club organises a wide variety of social events. Most of these events are open to members and their invited friends who may be non-members. The social secretary is Nick Speller who joined the committee in December 2018. We are always looking for new ideas and volunteers to help run events. Most of the events are run by members willing to help and give their time to ensure the events are fun for all who attend. Volunteering to help is a great way of getting to know new people and feeling much more part of the club. Below is a list of events we are looking to offer in 2019. Please look at the social calendar and upcoming events list for fuller details. - Easter Egg Hunt and Races on Sunday 21st April - members just turn up and join in! 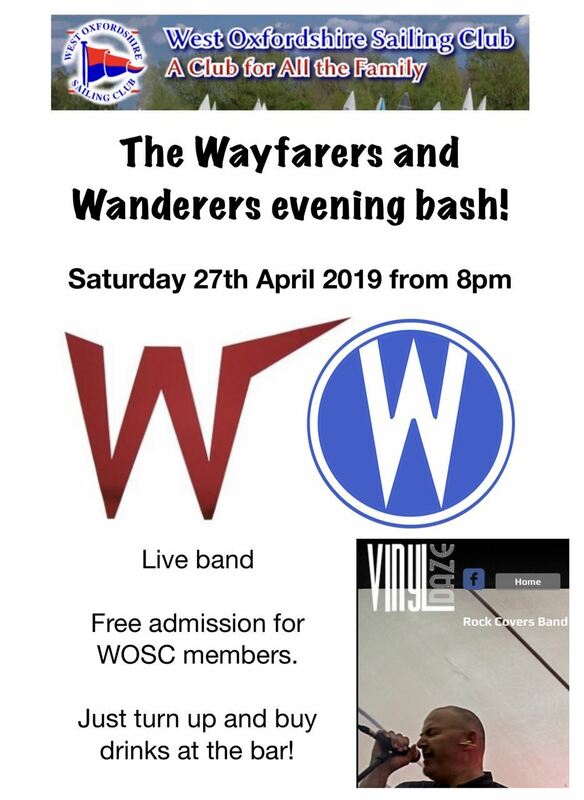 - Wayfarer and Wanderer Open Meeting and Social (27-28 April) - Vinyl Daze live band from 8pm 27th April open to all members - just come along and bring money for the bar! Your sailing club needs you… on Monday 27th May! Musical entertainment - are any of you budding rock stars who are craving an audience? We can’t pay you, but we can send the hat around! Stalls featuring local crafts - we hope to have a limited number of stalls inside the club house and outside under gazebos. For this year we are not charging for these, but will request a donation to the club dependant on how successful the event is for you. If you are interested in running a stall please contact Nick as below. Please come along and support the events and if possible offer to help out! At WOSC we also allow members to pitch a tent occasionally to enjoy the facilities and spend an evening by the lake. 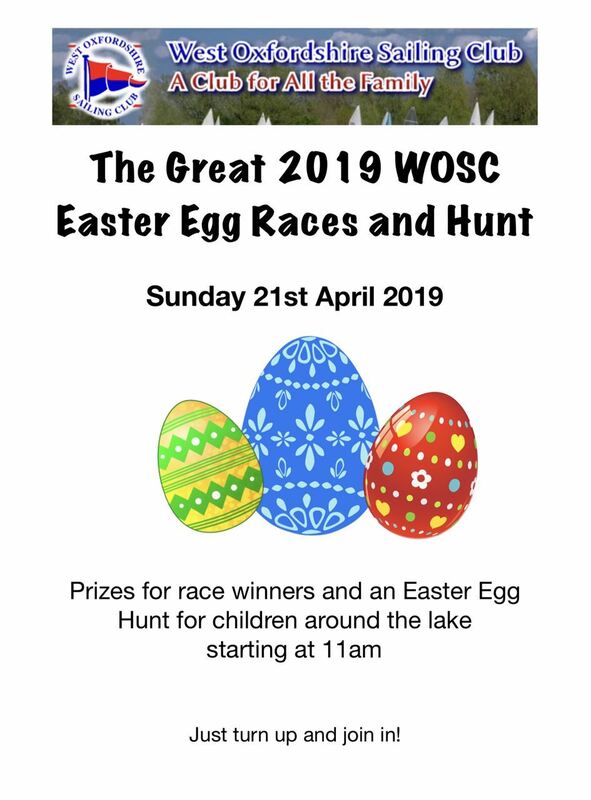 21st April 2019 - Easter Egg races and Easter Egg Hunt for children. Members just turn up and race. Member's Children just turn up and join our Easter a Egg Hunt!